When writing this column, several clichés kept coming to mind: There is nothing new under the sun; What goes around, comes around; and The gift that keeps on giving. How many of you have ever received a gift of Amish Friendship Bread starter? I can’t even count how many I have received, and how many I have killed with neglect. Considering it takes 10 days to work with it before you use it, it is easy to forget to ‘squeeze’ the bag. I honestly believed I would never try that again. Until…. I came across a book titled “Friendship Bread” by Darien Gee. It sounded good, so I checked it out of the library. Although the storyline was great, what fascinated me was the number of recipes you could produce with one little bag of starter. My mouth started watering, so I headed to the kitchen to make a batch of starter. It was so simple to make, and on Day One I mixed it up, poured into a gallon-sized ZipLoc bag and set it on the counter. If it turns out, this first batch is staying home with me, so I can try out all the recipes. Did you know there are five cookbooks out for all the ways you can use this starter? If all goes well, I may have to put a call out for others to come get some starter and try it for themselves. Are you ready to try an old familiar? Well, here is how to get started! DAYS SEVEN THROUGH NINE: Mash the bag. Day Ten: Pour the entire bag into a non-metal bowl. Add 1-1/2 cups flour, 1-1/2 cups sugar, 1-1/2 cups milk. Measure out four separate batters of 1 cup each into four 0ne-gallon Ziploc bags. Keep one of the bags for yourself and give the other bags to three friends along with the recipe. 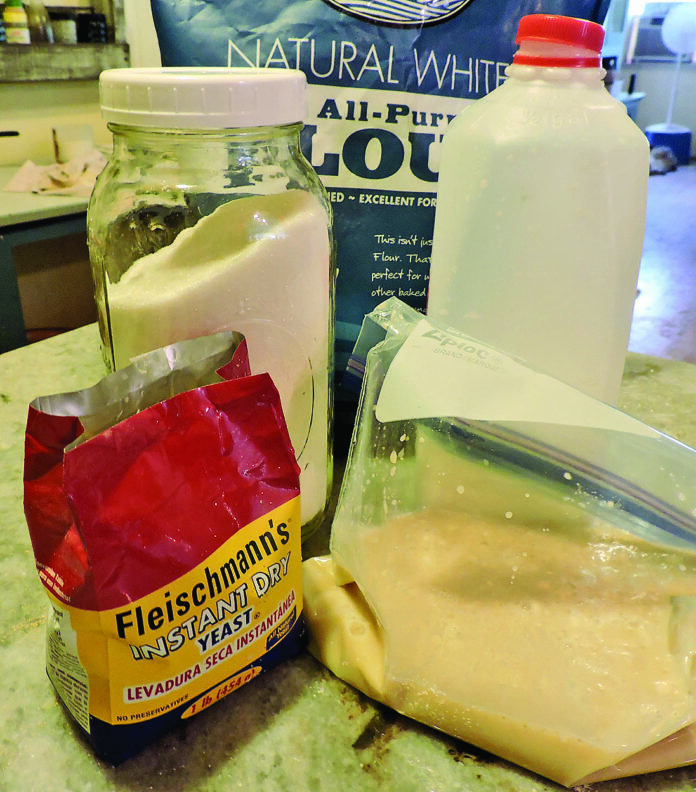 See this weekend’s edition (Dec. 22-24) to find out how to bake with your starter!